LECTURERS at Shetland College will again be out on strike on Tuesday as part of a national dispute over pay. Talks between union EIS FELA and employer Colleges Scotland at the end of January have brought no significant progress. The union demands a pay increase of nine per cent over three years. The Scottish Government has offered 2.5 per cent over the same period. Shetland College said that all scheduled classes would be cancelled unless lecturers had notified students otherwise. The college building itself will remain open with library, canteen and support services being available. Union member last picketed the entrance of Shetland College on 16 January. Chairman of the Shetland Islands Child Protection Committee,Tam Baillie. iPhoto: Peter Johnson/Shetland News. To mark this year’s Safer Internet Day on Tuesday, the chairman of the Shetland Islands Child Protection Committee is encouraging parents to negotiate screen time limits with their children to prevent social media from taking over real life. 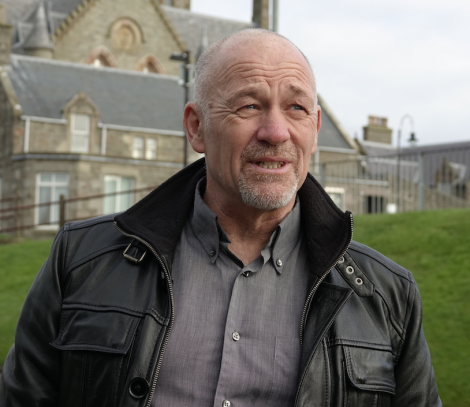 Tam Baillie said that adult’s online behaviour is affecting that of children and young people. “Social media is a great ‘place’, full of exciting and interesting people to meet. However, there are rules to follow to keep yourself safe,” he said. “I would expect parents to be curious about where their children go online, who they associate with and how long they spend there – as they would in the physical world.